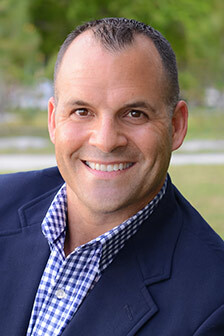 Adam Cuffaro has excelled as a Realtor in the Manatee/Sarasota area for more than a decade. His long-established tradition of achieving outstanding results for his customers is founded on values, expertise and a wealth of experience in real estate, sales and marketing. This has been a true recipe for success throughout his career, and has seen him secure a position in the Top 1% of Bradenton agents for sales ... more.volume while winning multiple top sales awards. Born on Long Island, Adam lived in the Washington D.C. area for 10 years before moving to Sarasota in 2000. In 2003, he began his real estate career in new home sales with Lee Wetherington, where he crafted his exceptional ability in matching buyers with their ideal property and lifestyle. Adam sold homes throughout the Sarasota/Bradenton area, from master planned neighborhoods to waterfront communities, golf & country clubs and downtown condominiums. Since 2006, Adam has worked in the Michael Saunders & Company office on the campus of IMG Academy, where he serves IMG staff and families, as well as customers navigating the real estate options throughout Bradenton, Sarasota and beyond. Adam sets himself apart with creative marketing campaigns and strategies – many of which he continues to orchestrate at IMG – that ensure the best results for his customers. He is committed to sharpening his skills through continuing education, and is a Certified Negotiation Expert (CNE). Ultimately, Adam’s goal is to be a "Realtor for Life" and provide his customers with a go-to resource when dealing with life’s many complex transitions. His knowledge, creativity, dedication and personal compassion will surely impress you. ...less.